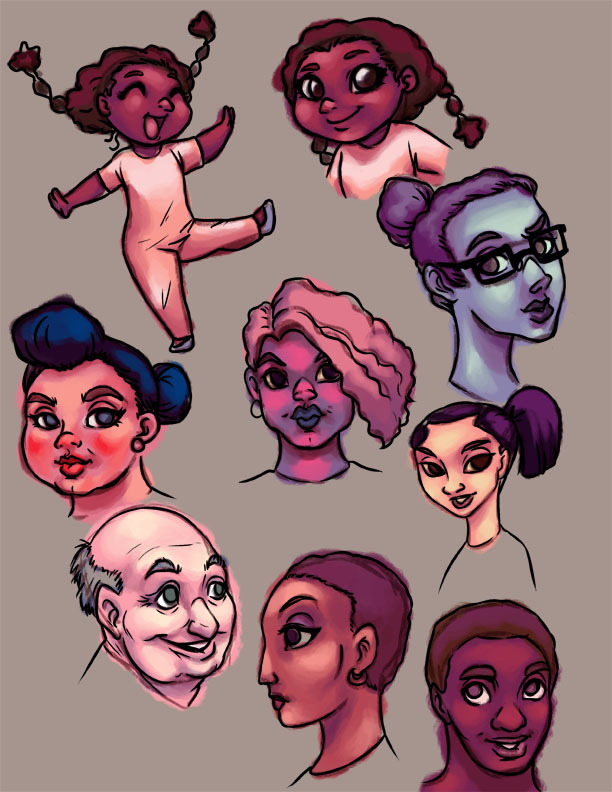 Various fun face designs focusing on head shape and color palette! Digital 8.5″x11″ 300DPI. 2016. Published October 23, 2016 at 612 × 792 in Illustrations.